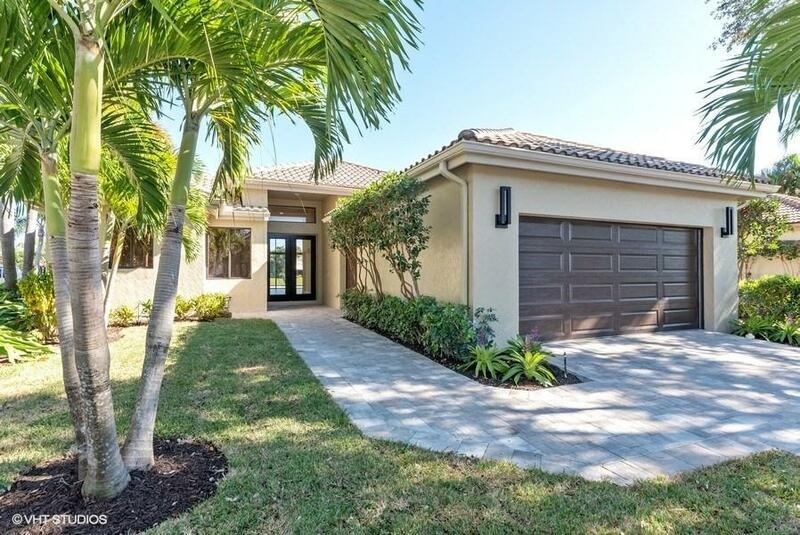 Completely remodeled lakefront home in the heart of Palm Beach Gardens. 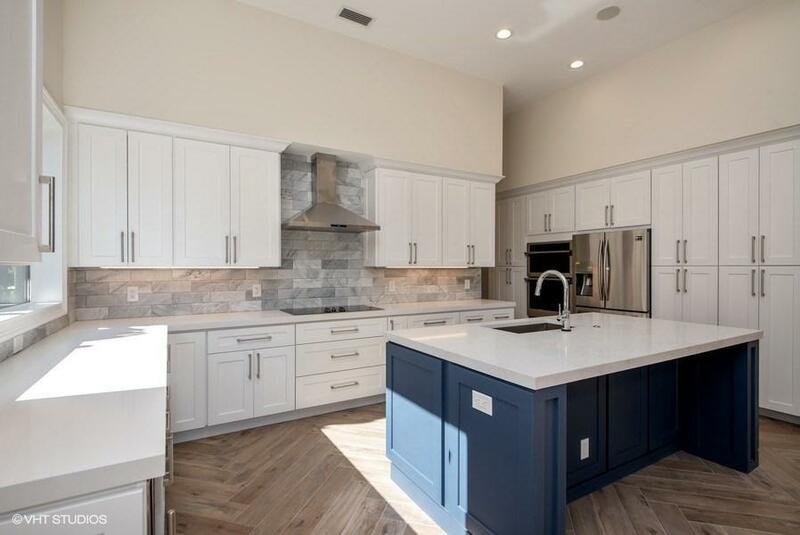 Stunning kitchen with opened floor plan offers tons of natural light and gorgeous lake views. Each guest bedroom has an en-suite bath with the master featuring his and hers, all completely remodeled. True calcutta marble and quartz countertops with custom wood soft close cabinetry. 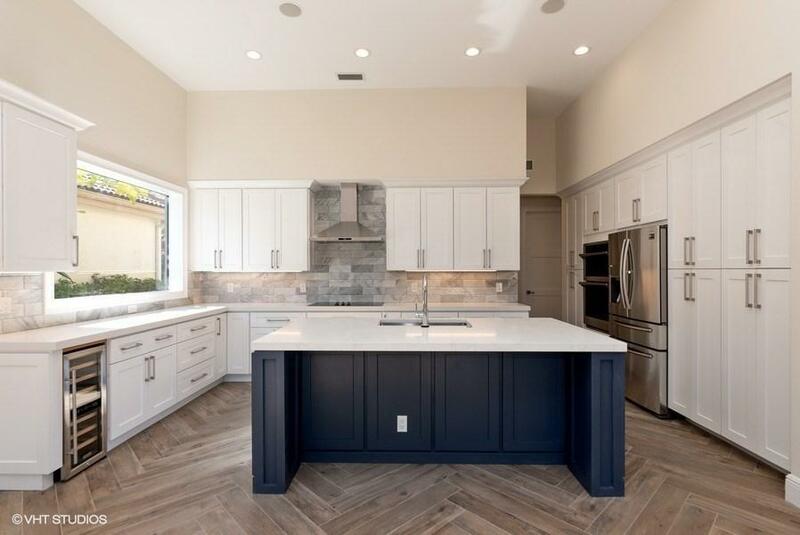 Custom hand crafted island in kitchen. Coffered vaulted beams with crown ceilings in main family room. Frameless shower glass doors and all nee trim package throughout. Pool has bee completely redone with new marble pavers and seamless lakefront view. New landscape. LED lighting throughout. 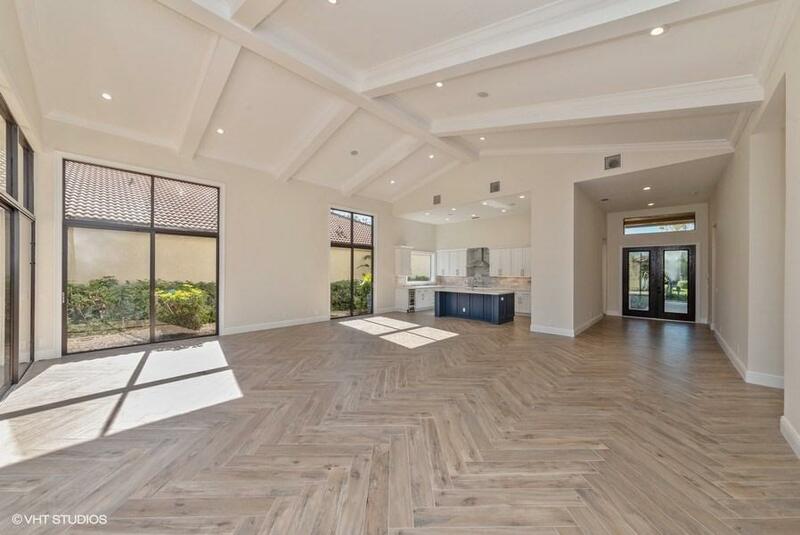 Herringbone Italian porcelain tile floors. Benjamin Moore Paint.